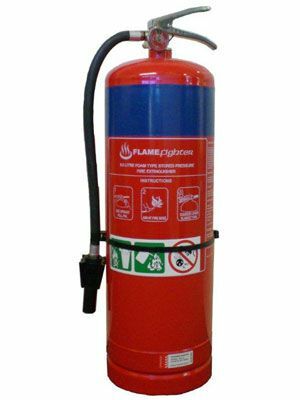 Foam extinguishers are idea for use against class A&B fires. Highly effective against petrol and volatile liquids forming a smothering seal over the surface preventing re-ignition. Ideal for multi risk areas such as workshops, garages and shops etc. Complete with wall bracket.